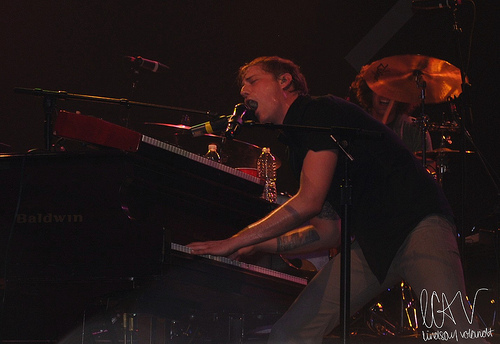 Proving that pop music isn’t just near-naked, big-breasted blondes singing about bad romances, Jack’s Mannequin stopped in Philadelphia to demonstrate that the genre still has substance. With support from two other like-minded pop acts and a sold-out crowd, the California four-piece was equipped to defend the genre. Providing direct support, fun. began their set at 8:30. Things started off shaky, with the excellent “Walking the Dog” plagued with unnecessary use of strange effects. Thankfully, though, the band returned to form on the next song with pop masterpiece “I Wanna Be the One”. 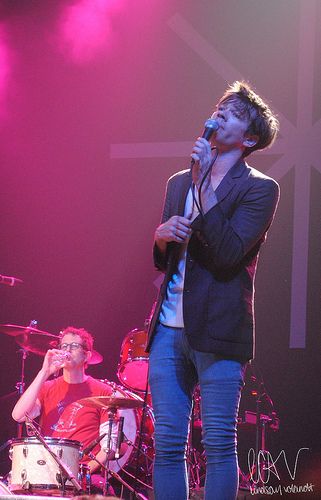 Andrew Dost sounded excellent on the piano; touring member Emily Moore’s female vocals helped complete the band’s soaring harmonies. Touring bassist Michael Newsted backed a riveting performance of “All the Pretty Girls on a Saturday Night”, while “Barlights” showcased frontman Nate Ruess’s intimate storytelling. A heartwarming performance of “Take Your Time (Coming Home)” finished fun.’s wonderful seven-song setlist. 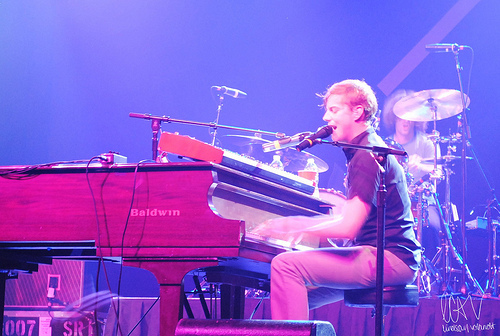 As Jack’s Mannequin frontman Andrew McMahon walked on stage, the crowd erupted in applause and the band jumped into a great performance of “Holiday from Real”. Guitarist Bobby Anderson slammed the first few chords of “The Mixed Tape” to kick off the hit single, with the band then moving onto the first two tracks from their latest album, The Glass Passenger. “Kill the Messenger” was injected with bits of The Police’s “Every Little Thing She Does Is Magic”; “The Resolution” was a full-crowd singalong. Things didn’t stay somber for long, though, with pounding performances of “Bloodshot”, “I’m Ready”, and “Bruised” moving the crowd to dance along. A very respectable cover of U2’s “New Year’s Day” was surprisingly well-received by the young crowd. 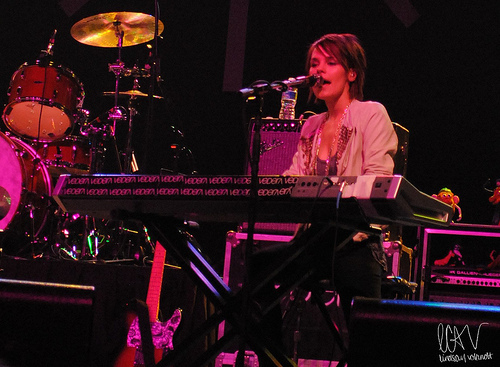 Following a talk about enjoying some of the band’s deep cuts — that is, songs recorded for but not released on a full-length album — Jack’s Mannequin played “Miss California”, a bonus track from The Glass Passenger. An encore performance began with current single, “Swim”, and ended with “La La Lie”, featuring McMahon on harmonica. The night wasn’t complete, though, until McMahon leapt off stage, into the crowd, and surfed to the sound booth near the back of the venue. Being carried by just the flow of the crowd, McMahon safely made the trip and also the return voyage back to stage. Jack’s Mannequin sounded great at the normally-shoddy Electric Factory, putting on an extremely enjoyable show full of singalongs and crowd participation. With such a solid catalog at their disposal, however, it comes as absolutely no surprise. McMahon will be returning to duties in his former band, Something Corporate, over the coming months, but expect a new Jack’s Mannequin album and a tour supporting that album in the near future as the frontman juggles his responsibilities in both pop powerhouses. All photos by Lindsay Voldandt. You are currently browsing the archives for the Jack’s Mannequin category.